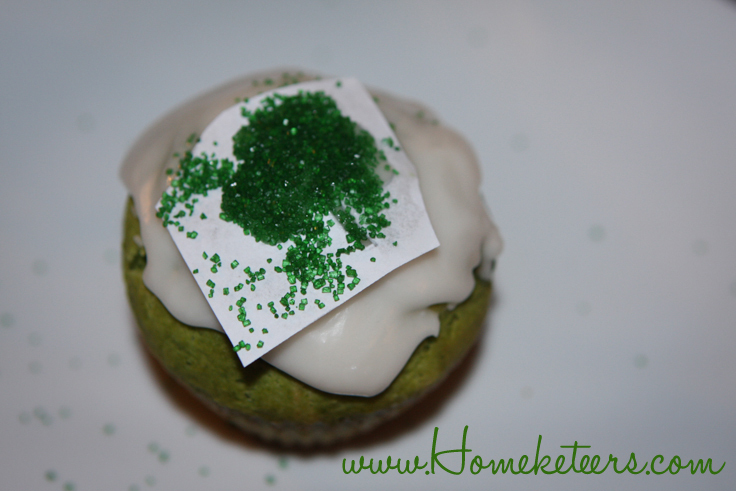 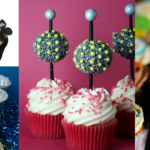 Here is a quick and easy way to decorate cupcakes for St. Patrick’s Day. 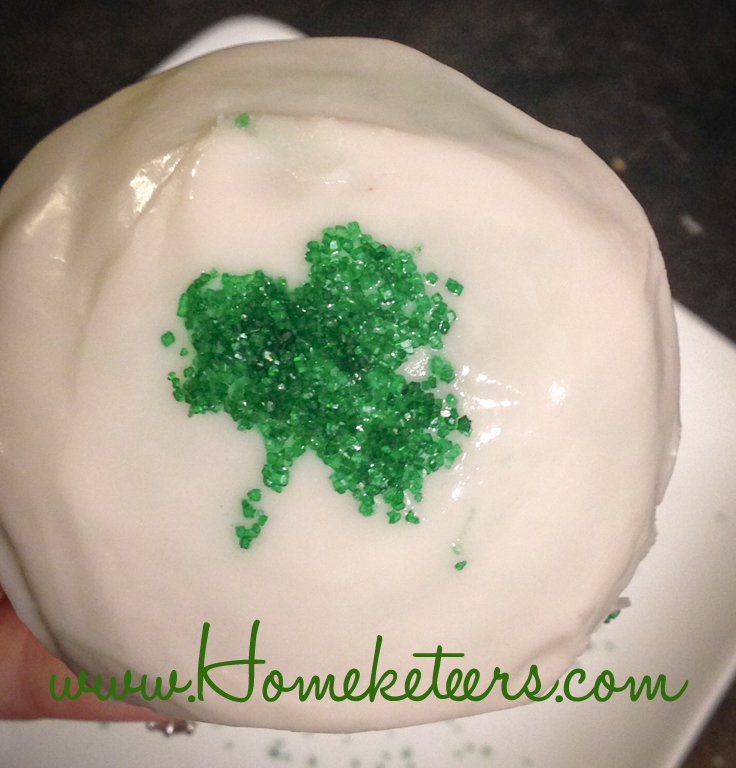 All you need is some plain icing, green sugar sprinkles and a shamrock stencil. 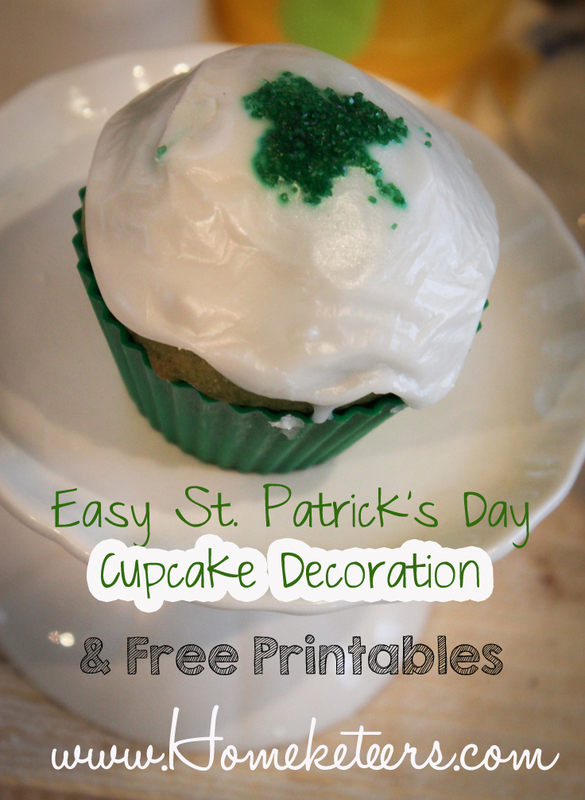 I used the smallest shamrock from our page of Free Shamrock Printables here. If you’d like a delicious cupcake perfect for St. Patrick’s Day, try my Green Vanilla Cupcake recipe here. 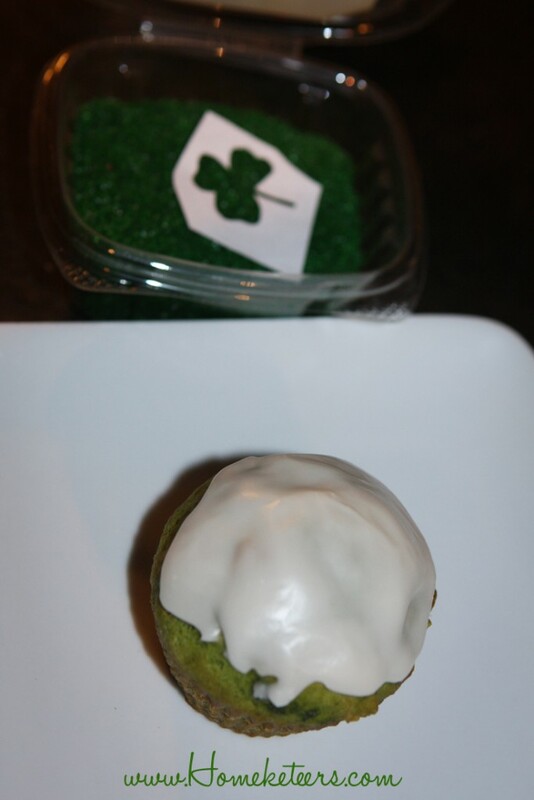 Cut out the shamrock shape from our printables sheet (or if you have a tiny shamrock cookie cutter you can use that) and lay it over the icing on your cupcake. 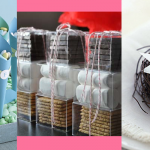 Hint: if the icing has already hardened, rub a tiny amount of water over the top of it to moisten and your stencil will stick nicely to it. 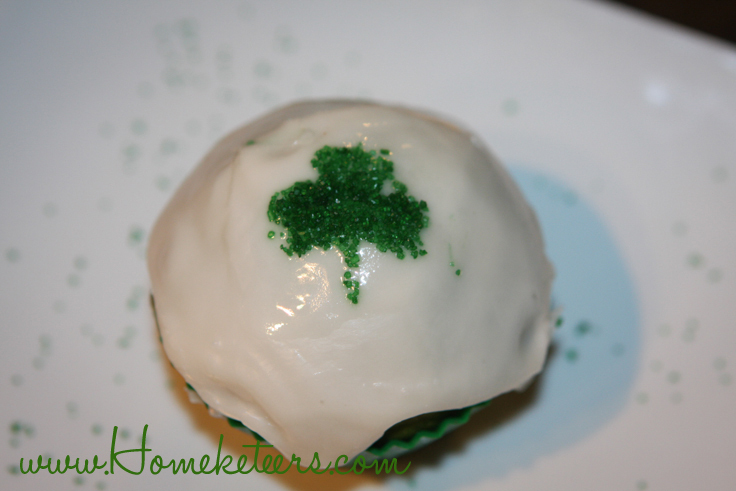 Sprinkle the green sugar over top and try not to get it anywhere else on the icing. 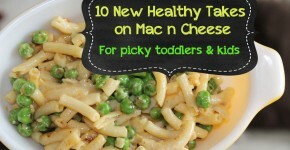 Gently press it into the shamrock shape. 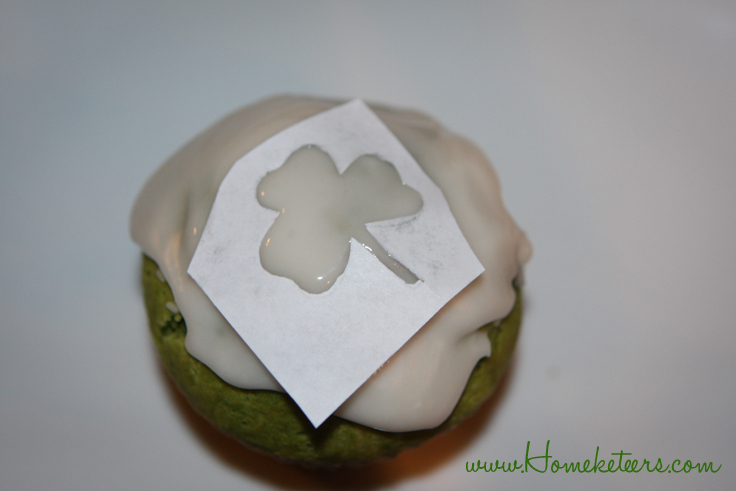 Gently remove the stencil and there is your cute little shamrock! 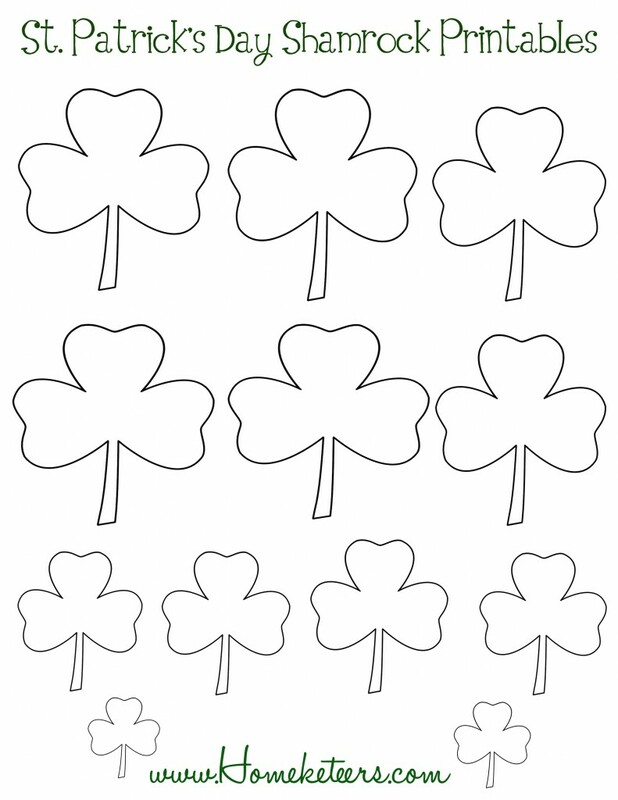 Don’t forget to grab our free St. Patrick’s Day Shamrock Printables!